Indulge in classic elegance with a contemporary edge, with this utterly chic slim white leather strap watch by Sekonda Editions. Crafted with a sleek stainless steel case and fresh white dial with striking skeleton detail. Finished with Roman markers to complete the sophisticated feel. 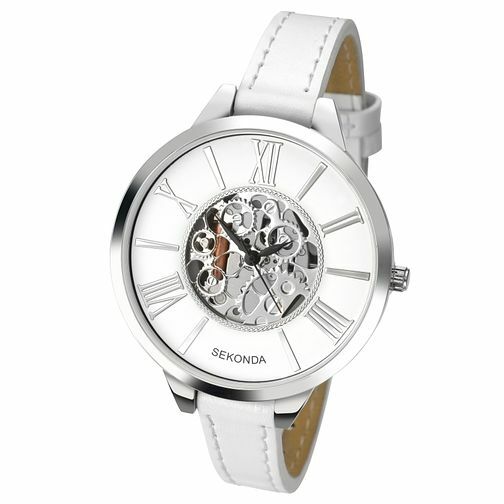 Sekonda Ladies' White Dial White Leather Strap Watch is rated 5.0 out of 5 by 1.